I haven’t done a My Easy Three post in a long time, but it’s time to get back to sharing three simple things you can try each month to feel like you’ve accomplished something. By breaking it down into “just three”things it’s doable and achievable – not overwhelming. One: Emails – Clear the Clutter. Do you have a stockpile of unread emails like from stores you don’t really shop or did one time to get the discount? Do you want to start the new year sticking to a budget and don’t want the temptation to buy something? Introducing — UNSUBSCRIBE! Don’t just delete, because it will be back again tomorrow and you will just feel like you are on a hamster wheel. I took about 30 minutes one day going through this process. It might take a few times to unsubscribe until they get the message, but be persistent. This activity can easily be done while you are waiting for an appointment, in the carpool line, or drinking your morning coffee. 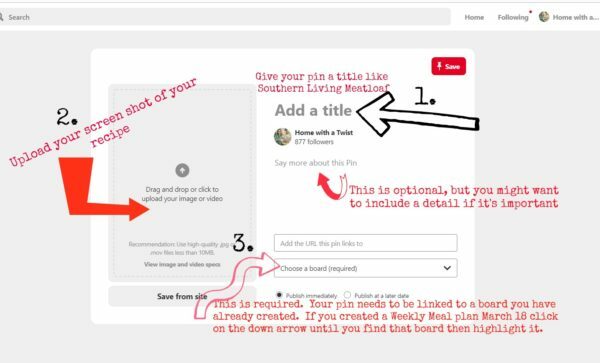 If you don’t already have inbox folders designated for family members, coupons, photos, important correspondence, for example, set those up. Then move all the emails from your current inbox into folders. You should probably have no more than ten emails at one time in your inbox. If it needs action leave it there, otherwise, it needs to be deleted or put into a folder. You defeat the point with having 50,100 or 300 emails at one time. How can you easily find something amidst that clutter? Think of it has pieces of paper on your desk. Once you’ve cleared the clutter, try to spend time each day purging, moving and minimizing your inbox clutter. Two: Clear out the linen closet, cabinet and drawer. January is a great time to take advantage of what has been traditionally called a “white sale” Fun fact: In 1878, John Wanamaker of Philadelphia department store fame decreed January to be the time for a “White sale.” Bed linens, which were available in white only, were sold at a discount. This was done to increase sales for these items at a time of the year when sales were normally slow. For this activity, go through all your towels (bath and kitchen), sheets, blankets, comforters and quilts. Are they stained, torn or worn? You know who could use them — animal shelters! Have you stopped using a comforter or quilt because it’s out of style or the wrong color, then give it to a homeless shelter. Give to someone else what once gave you joy, then it doesn’t feel like such a waste. 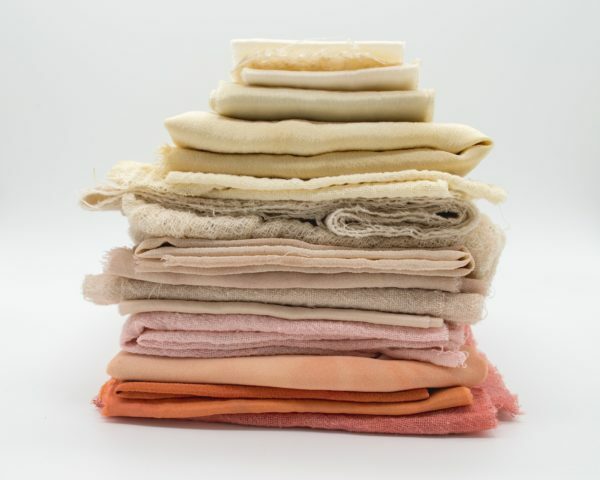 Go through your inventory of bath and hand towels and washcloths — do you have too many of one thing, are they random colors and you’d rather just narrow it down to two, then donate the standouts. Sort everything in its proper place either in stacks or in baskets and if it’s not clear, then label them. Want inspiration? 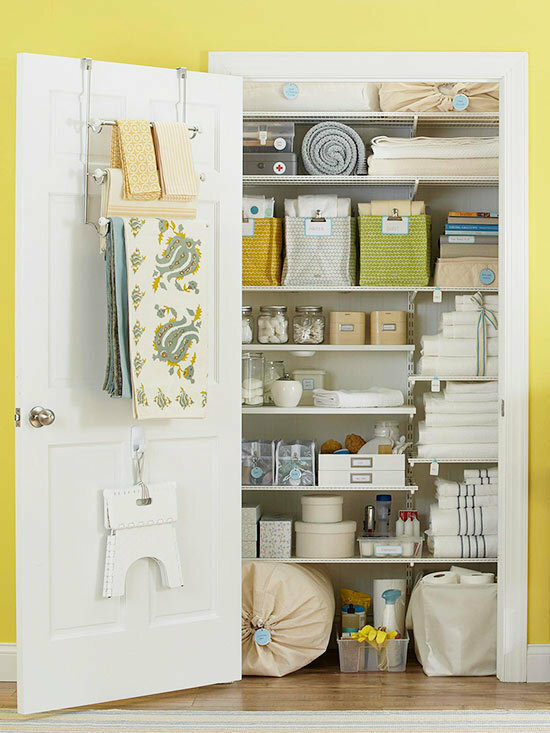 Click here for 20 Beautifully Organized Linen Closets like this one! Three: Clear out the medicine cabinet and prepare for flu and cold season! Our home wasn’t built with medicine cabinets, so we use storage bins with snap off lids I bought at Dollar General. They easily stack and I label them to distinguish between prescription, over the counter, and first aid medicines. Physically touch each bottle or tube. Check the expiration date. Most medicine loses it’s potentcy and can actually be toxic past its expiration date, so be sure to error on the side of caution. Wipe out the shelves so they are clean and free from goop. Most drug stores are running good sales right now to prepare people for the cough and cold season. 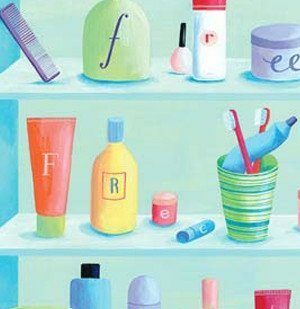 Here’s a list from Real Simple on Medicine Cabinet Essentials. I keep a small first aid kit in my powder room. If guests need a bandaid or headache medicine they can help themselves to supplies on their own. 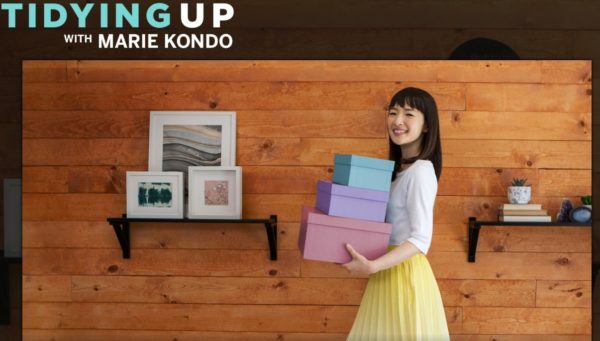 Bonus Thing: Please watch Marie Kondo’s Netflix series Tidying Up with Marie Kondo. Her mission is to clear the clutter and spark joy — my kinda gal! Her show is really inspiring. There are a few rituals she strongly believes in to help ground her clients and steer them toward appreciating the process. There’s always tears, frustration, yelling and then boom the realization. 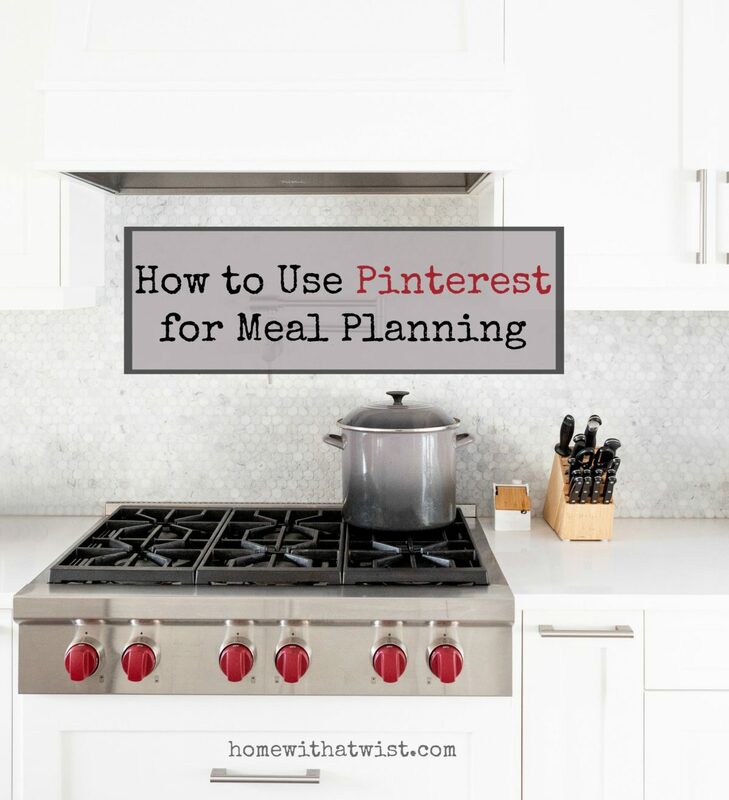 You will leave each episode with at least one great idea to apply in your own home (like the proper way to fold a fitted sheet!). You can watch the trailer here. Go forth, organize, declutter and #seekjoy! 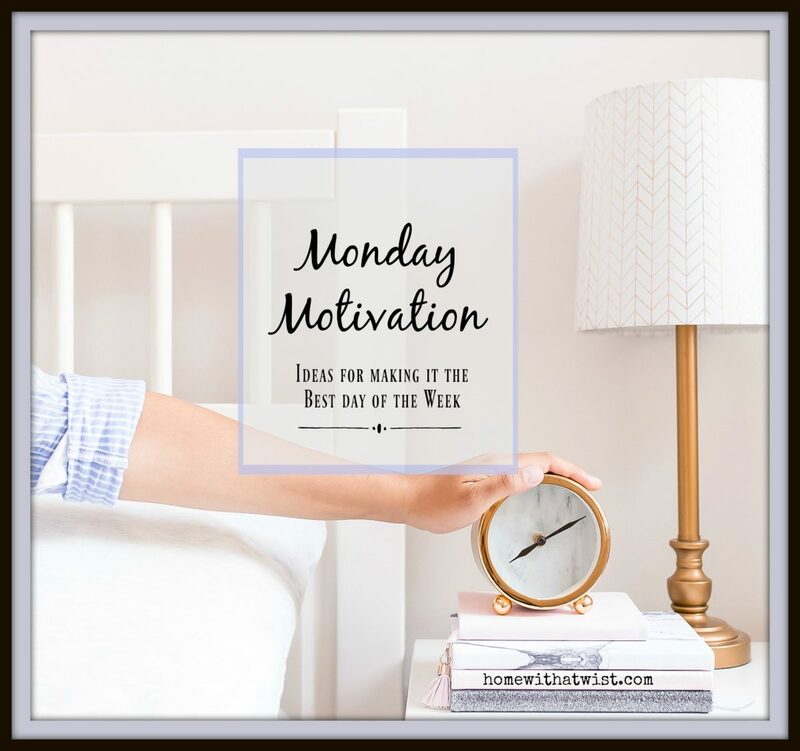 It’s Monday and you know what that means…my day to launch something to keep you motivated for the week. Today it’s housekeeping. Pretty timely since your house was likely filled with family, friends and like me a college student home for the holiday. They’ve all left you with full stomachs, great memories and a dirty house. Well today is your lucky day! 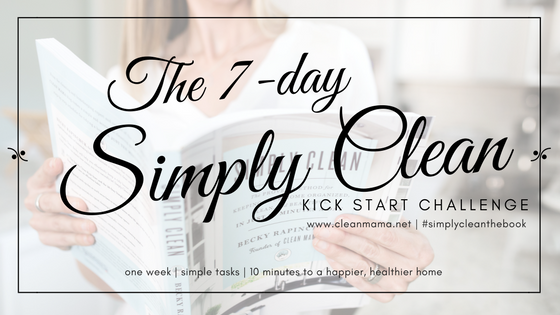 If you don’t already know about Clean Mama’s website to help you “keep a clean house while still enjoying your family and life with simple cleaning routines that’s perfect for busy homes” you are going to love her free downloadable December calendar. 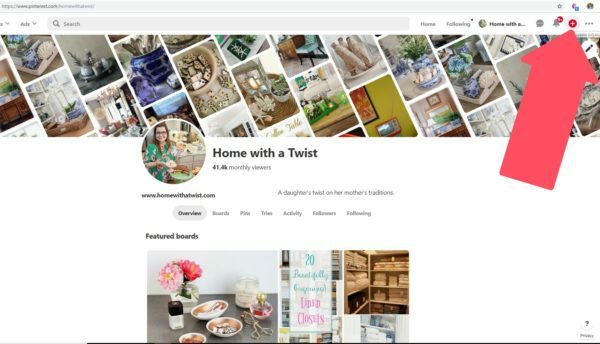 Visit her site for your own printable and tons of resources for all her cleaning supplies, books, recipes, oils, labels and tips she employs to keep her home clean and enjoyable. I love a clean house, who doesn’t, but sometimes it is so overwhelming to think “ugh, I’ve got to clean the house today!” Then you start with one project, see a stack of other stuff you go through, then you get distracted, go to change the litter box, wait wasn’t there something cute on Instagram I need to look at, go to the kitchen for a drink and see dishes in the sink, unload the dishwasher, notice the microwave is dirty, start to clean it, then go back to project #1, and start the whole process over…. 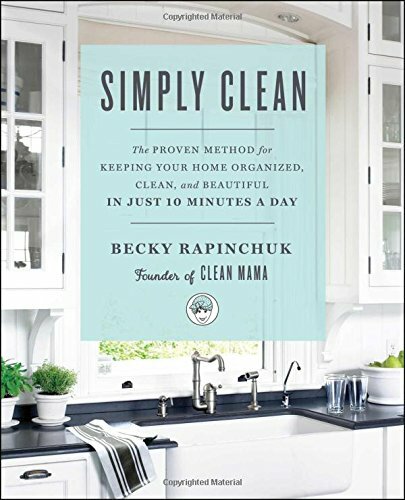 “What if I told you that you could spend just minutes a day on cleaning and homekeeping and you’d have a clean home all week long? Those mundane tasks like laundry and loading the dishwasher will become part of your repertoire and daily routine and you’ll become one of those people that welcome visitors and guests. Keeping a house clean and tidy comes naturally for me and I love the practice of homekeeping. 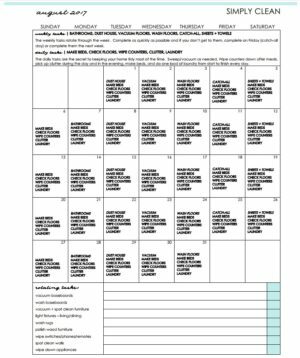 Here’s her calendar for December just in time for you to apply on Saturday. Until Saturday, use this week to put stuff away from your holiday gatherings. Just do your simple routines, but wait to tackle your cleaning until Saturday and see if following her suggested routine helps you. 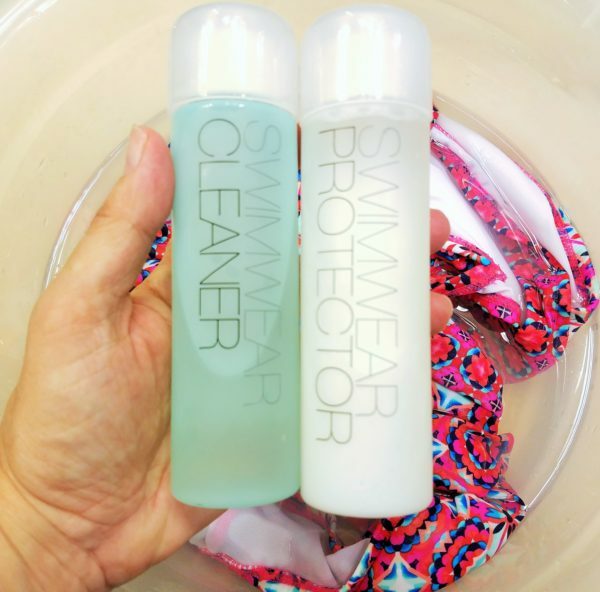 In the meantime, here are some of my favorite cleaning products. 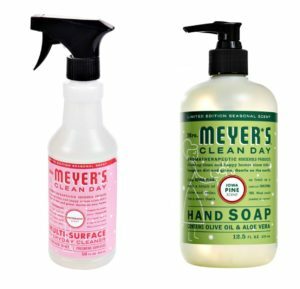 I love Mrs. Meyers products and this time of the year is perfect for the holiday scented line — like the orange clove, Iowa Pine and Peppermint multi-surface cleaner. They also have a Peppermint candle that I think would be perfect as a hostess gift. And during the holidays I love to have full bottles of liquid handsoap in the powder room. How about the Mrs. Meyers Pine scent? Visit Mrs. Meyer’s through 11/26 for 10% off your total purchase and free shipping! 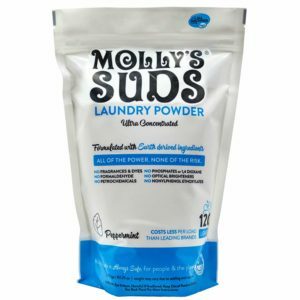 And my favorite laundry detergent that I have been using for over a year — Molly’s Suds Original for Sensitive Skin. It’s scented with peppermint oil and is super concentrated. 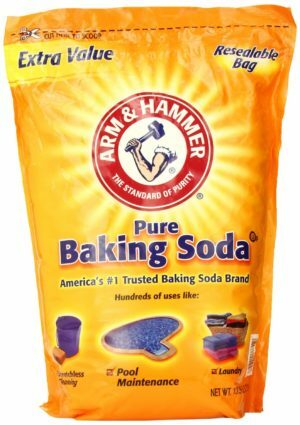 I only use one tablespoon scoop that comes with the soap. It’s formulated for HE washing machines and ever since I started using it my front loading washer no longer has a foul smell. Plus, the clothes smell clean. I have it on auto delivery with Amazon to save money and I never run out. 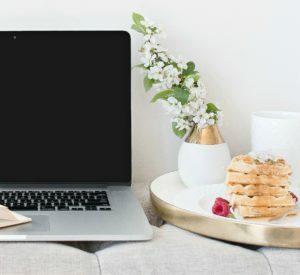 I hope this post leaves you excited about starting a cleaning routine. Have a fab week ahead! I had such a nice, relaxing Thanksgiving holiday. I enjoyed time with my besties in Austin, ate yummy meals with family, and had a sleepover with my sweet great niece. She loves to spend time with her “Aunt Mizmee and Uncle Doe!” I especially relished the bedtime snuggles and reading the Christmas Story to her. And with Thanksgiving being a tiny bit earlier, it gives us a whole extra week to decorate and enjoy all the Christmas decorations. Mr. Bee put lights up outside and I decorated four Christmas trees! I know that sounds exhausting. Want to know my trick? A few years ago, my friend and personal organizer Elizabeth Jones from Nest & Transformation, worked with me to organize all my Christmas decor so I know exactly where everything is. I have an area set aside in my attic with all my storage bins and it has helped me to enjoy the holidays! That’s my tip for this week: Take time to organize, sort and purge any decorations or ornaments you no longer use. I stocked up on ornament storage boxes like these from The Container Store. 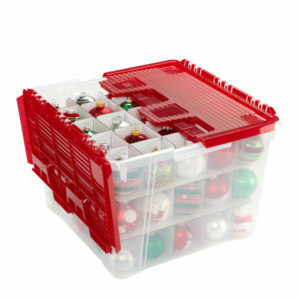 Each box is $16.95, holds 75 ornaments and comes with cardboard inserts to keep each ornament safe and snug. I organized and labeled ornaments by tree, so if I just want to decorate the family room tree one evening, I know which box to pull off the shelf. She helped me to go through each of my ornaments and throw out broken ones and repair a few with glue. I only kept the ones that were meaningful to me. If they didn’t bring me joy then I placed them into the donate bin for someone else to treasure. 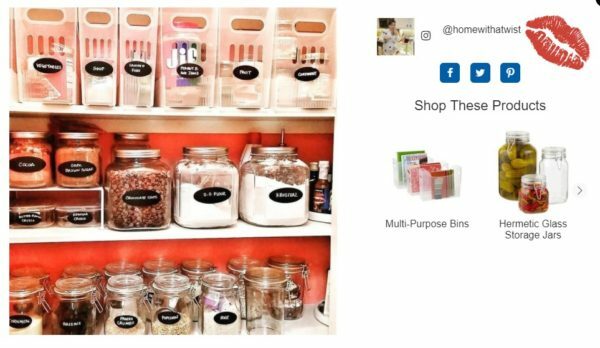 We created bins for each zone in the house like kitchen, powder room, mantel, entry way, Christmas pillows, books, party supplies, baking tins, etc… This helps again to simplify the process so it’s not so overwhelming if I just want to decorate a little at a time. If I am doing some baking, I know exactly which bin stores all my baking tins for gift-giving. Now is the time to do this process so next year your decorating will be a breeze! It may take a little more effort this year, but I promise it will pay off when you’re getting it all ready for 2018. This weekend while you are gathering up all your Thanksgiving recipes — see Mrs. Twist’s Thanksgiving Guide here, make this easy three-ingredient stovetop simmering potpourri to fill your home with the smell of clean. Slice one lemon, add three rosemary sprigs, one teaspoon of vanilla and enough water to cover. I let it sit on the stove at a low simmer. * It filled the house with the smell of the soaps you purchase at Williams- Sonoma. I had all the ingredients on-hand, especially the rosemary from the bush in the garden. 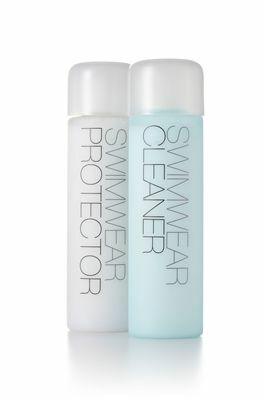 And here’s a time-saver from PureWow for the holidays regarding cleaning — fake a clean home! “A deep clean would be lovely, but you’ve got 45 minutes, woman. The most important thing you can do: Clear every counter and tabletop of clutter and hide the mess away, you can deal with that stack of mail in the hamper later. Then give each surface a spritz of all-purpose cleaner for a little extra shine. No one will be scrutinizing the corners of your baseboards anyway.” Try a bottle of Mrs. Meyer’s Apple Cider multi-purpose spray cleaner for your countertops — people will be so obsessed over how yummy your house smells they won’t even notice the cobwebs! That’s a tip I need to tattoo on my arm — why do we clean before company comes when the mess is after they leave? I am raising my hand guilty on all counts on this because I get so overwhelmed with cleaning before a party that it makes me crazy. *Be sure to add water, as needed, and never leave it unattended. Turn the stove off when you leave the house or go to bed. 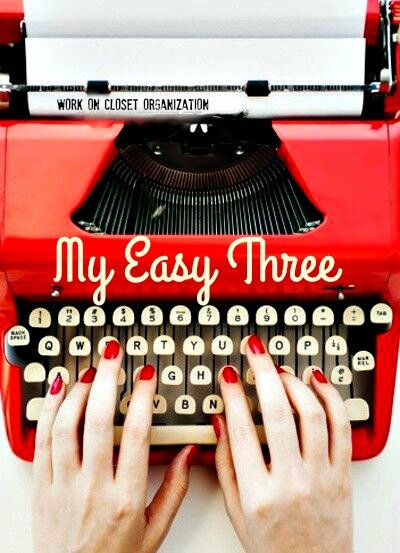 My Easy Three are achievable tasks you can apply to keep you and your home organized. 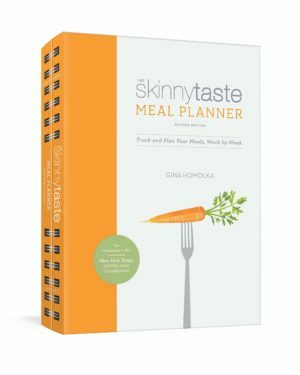 For September I’ve got three easy things to do in the kitchen. First — go through your plastic storage containers. Every few months or so, I sit down on the floor in my kitchen in front of the cabinet that stores all my plastic and glass food storage containers. I take each base and try to find its lid. Does the lid snap on easy, does it even fit? Is the container stained, warped? Toss or recycle the rejects. I got a set of Pyrex glass containers from Costso. 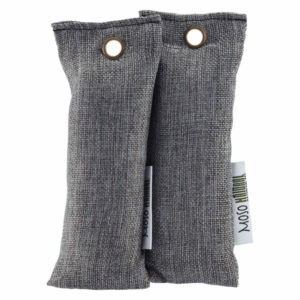 They are easy to clean and don’t melt or warp in the microwave or dishwasher. I keep the lids snapped on and stack them in the cabinet. 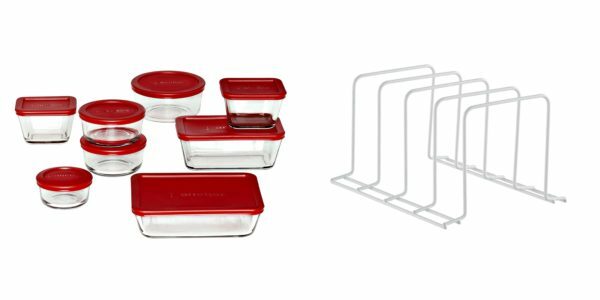 Having this nice set means I only need a few plastic or disposable ones for food I might want to give away. For those containers, I stack them inside each other and I use a divider to stand up the lids. It keeps everything neat and organized. Second — Do the same process from your travel cups and mugs. Do they work, are they cracked, stained, do they have matching tight fitting lids? Do you even like them? Recycle all the ones you don’t have an attachment to. 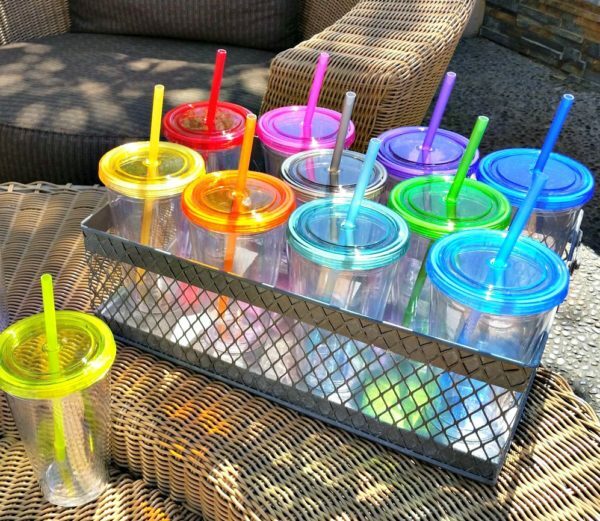 Do you really need 20 travel cups? I have 3 travel mugs and about 8 tumblers with lids like this. I like to drink from something with style not a faded, old Quicktrip cup. I stack the cups and keep the lids in a long, skinny drawer divider and the straws stored upright in a cup. Third, — Kitchen towels and dishcloths. Go through each one. Is it faded, torn, stained? Some can be recycled to the cleaning or car wash container in the garage. Invest in a new matching pretty set for the fall. I roll my towels into cylinders and keep about 20 in a drawer. This method keeps the drawer from being over stuffed with towels. If I bring a new towel into the drawer, I clean out the drawer again. 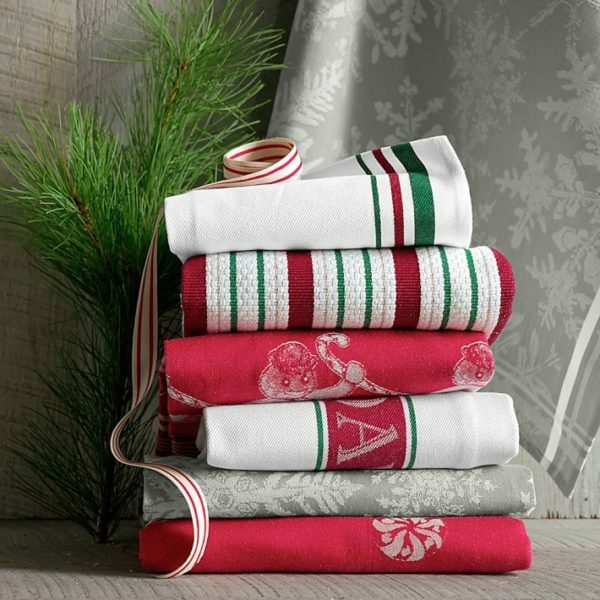 Here’s a pretty set for the holidays from Williams Sonoma. What’s a constant trouble area in your home you’d like help with? Leave a comment and I’ll try to help. For more ideas from My Easy Three check out the Homekeeping and Organization tab under HomeStyle. I really love bell peppers — red, orange and yellow being my favorite, green not so much. Did you know that in addition to their their varied colors and taste, each differently hued bell pepper has a unique array of nutritional benefits? Green peppers feature an abundance of chlorophyll. Yellow peppers have more of the lutein and zeaxanthin carotenoids. Orange peppers have more alpha-, beta-, and gamma-carotene. 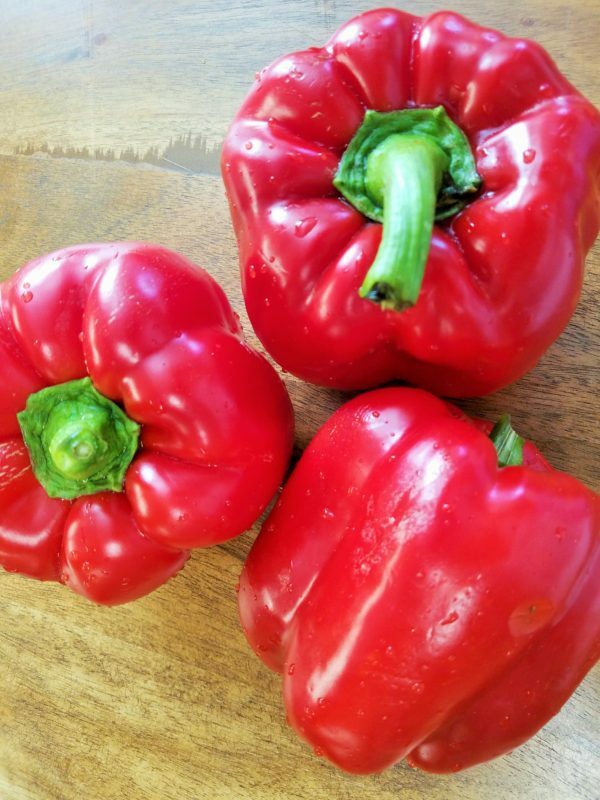 Red peppers have more lycopene and astaxanthin, two other important carotenoids. So, regardless of the color, bell peppers are a very healthy vegetable to include in your diet. 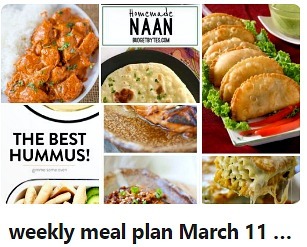 My favorite way to eat them fresh is with hummus or roasted on pizza. 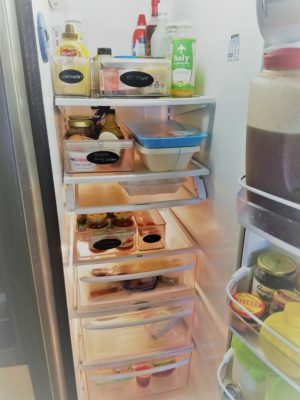 Over the weekend, I did a massive purge of my refrigerator contents. I took every shelf out so there was absolutely nothing in my refrigerator. I made a pail of vinegar and hot water with a dash of liquid dish soap and went to town. I grossed myself out with the gunk in my fridge. But, it’s all sparkly clean and I found myself opening the door every so often just to peak at it’s beauty. Revelation — From this exercise, I learned that I don’t need “jars” of pickles, olives, peppers, or bags of produce anymore. They just go to waste. Lately, I have just been visiting the salad bar at Whole Foods and Albertson’s and buying what I need. If I am making a pizza — I buy 10 olives. If I need spinach, I buy a handful. If I need peppers, I am going to roast my own. You can roast them over a flame on your stove or grill, but I like the easy method the Barefoot Contessa uses. Watch her video here. And the best part, I can put them in these French glass terrines from the Container Store! 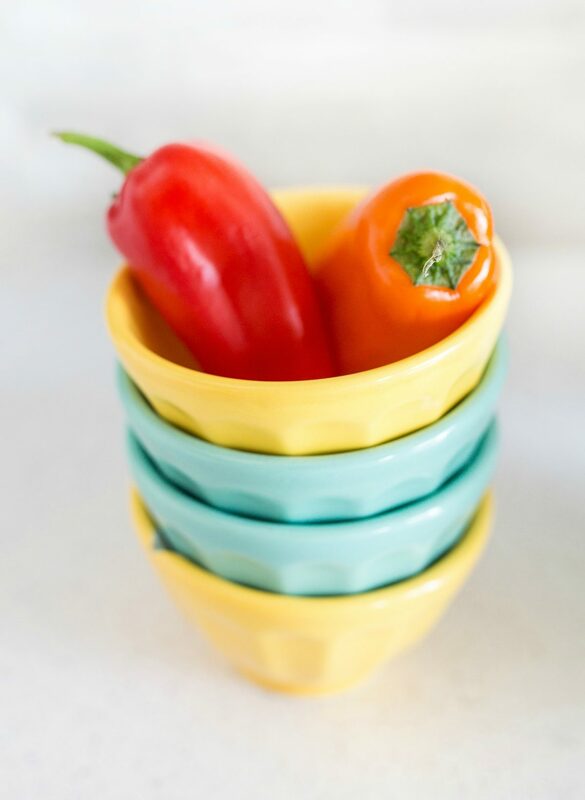 Elevate your food by storing it in a beautiful container is my motto! 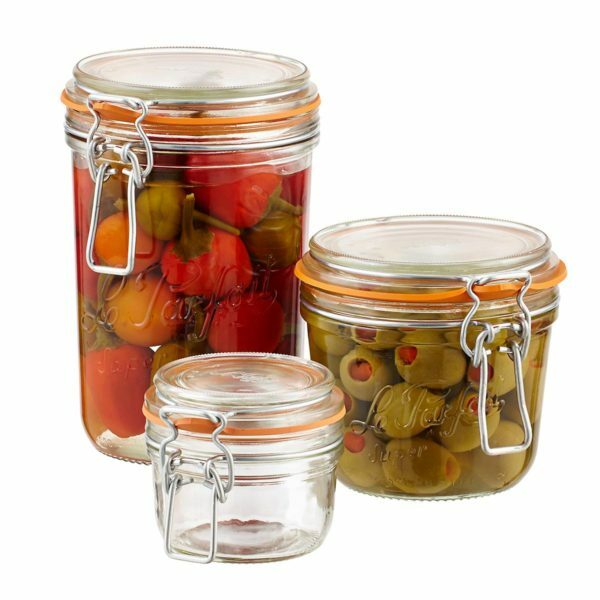 I use these in my pantry, too, which you can see featured on the Container Store website showing how I use glass jars and the multi-purpose bin in my pantry. #containyourself. What’s one thing you can cut back on buying that can help you save money and refrigerator space? Please share! My Easy Three is a series I started in January to share inspiring ideas that are doable and make you feel like you’ve accomplished something. This month, I focused on my closet using a few products from The Container Store, taking advantage of their 15% off closet storage sale. Warning: I am showing you my underwear drawer! First up, we might as well get the “unmentionables” out of the way. I purchased the 3-section twill drawer organizer. 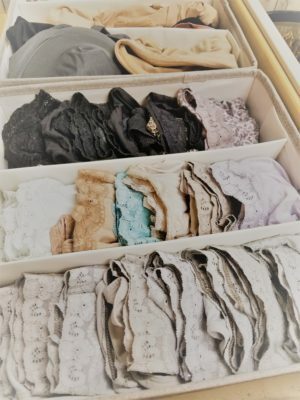 What I like about the drawer organizer for lingerie is I can fold my undergarments and organize them according to color and type. 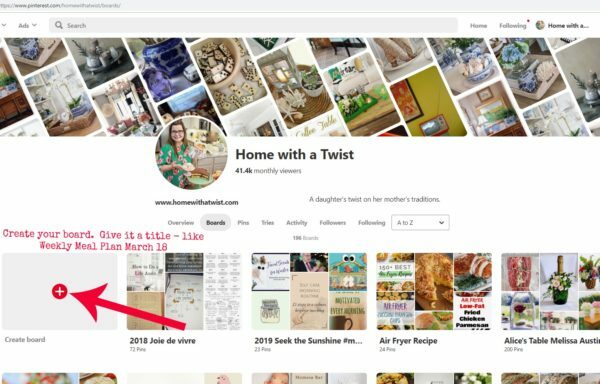 It helps me to see what I have, access it quickly and keep it neat and tidy. I purchased three organizers. The first easily held all my lingerie, the second I used to organize shape wear, and the third for my tank tops. 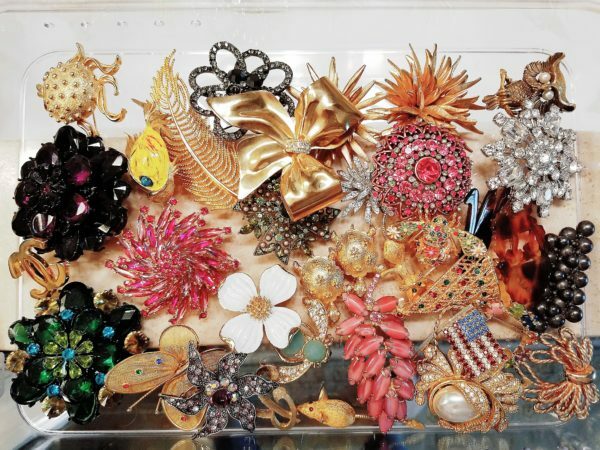 Second, I wanted a way to see all my brooches and pins. Some belonged to Mother, and others I’ve picked up on my own either new or in antique stores. These low-heeled shoe boxes are made for a narrow profile shoe like a flip flop. 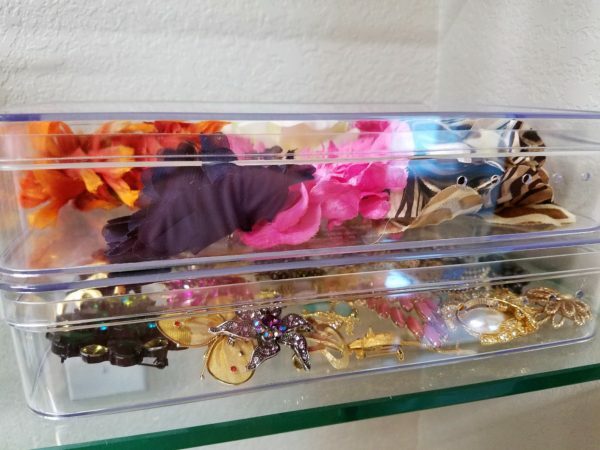 Wonderful on it’s own, I decided to use it to stack accessories on the glass shelves I hung on the wall in my master closet. I wanted a space for my accessories that had the feel of a boutique and these stackable boxes are pretty and functional. I can easily see what I have. If you know what you have you will wear it! 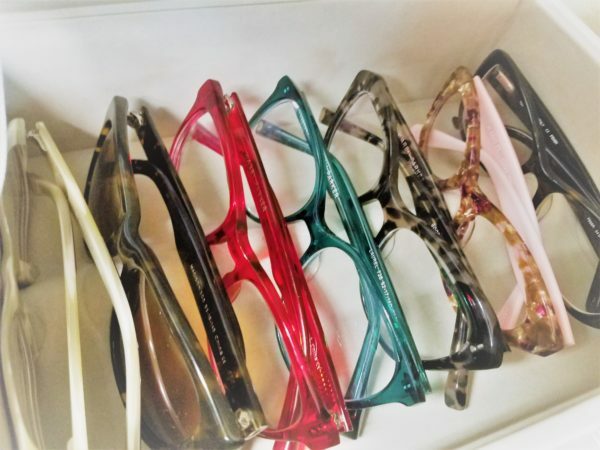 Third, over the last several years as I have switched to wearing glasses more than my contacts, I have curated an eye wear wardrobe. I mean, you can’t wear the same glasses everyday! I feel like eye wear is jewelry for the face. I needed a place to house all my eye glasses so I can easily access them and keep them protected. 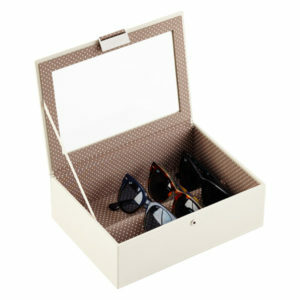 These stackable boxes are perfect for my prescription sunglasses, too. If you want to catch up, here are projects from January and March. I wonder what I can tackle for May? Do you need inspiration for a project? Be sure to leave a comment for Mrs. 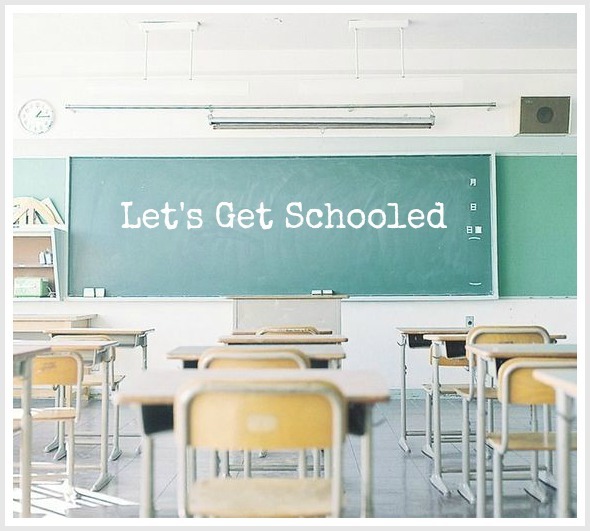 Twist and she will get to work with ideas just for you!